Need More Teachers in the Classroom? Clone Yourself! Home → Mike's Blog → Need More Teachers in the Classroom? Clone Yourself! Today’s cool idea comes to us from friend and colleague, Gillian Andrews. Make sure to check out her bio at the end of this post! How many times on any given day do you catch yourself saying, “I wish there were three of me?” In writing you may be thinking, I need one me to work with a small group on ending sentences with punctuation. I need another me to work with that partnership so that their feedback to each other is meaningful. I need still another me to work with another individual whose writing is already at the next grade level and I want to teach them how to create a setting that reveals a mood. Oh, and yeah, there are those kids who have no stamina and are either off in the bathroom or heading down to the nurse … again. Sound familiar? Well there is good news. Unless you have some kind of cloning potion as Hermione has in the Harry Potter series, you can actually provide students with meaningful instruction–your own instruction–when they need it and as often as they need it. When I first was asked to create a flipped lesson at Teachers College Reading Institute last summer, I dismissed it. I am not a believer in assigning homework and I do not believe that a Khan Academy lesson online could ever replace the lessons that I give. It’s not that Sal Khan is a poor instructor – he is wonderful. But I have always believed that children learn best from someone they know. When I returned home from the Reading Institute, I made a list of lessons that I saw could be used from the get go in September. While some lessons I planned for were very specific (How to Generate Ideas for Writing Personal Narratives), I also added topics that were more general and could be used throughout any writing unit (“Help! I Have no Writing Stamina!”). I got to it and created several that could be used early on in the year. Not good. He ended up breezing through it, not really doing anything that I was suggesting in the video. Review the expectations with your students first. The videos are not mere distractions, they are to be used to gain strategies. Set goals. Ideally you want to do this in your videos. For example, you could say something like, “Okay writers, now that you have your materials ready, as you watch this video, pause it when you hear something you could try. Your goal is to write down at least five topics by the end of this video.” If you forgot to set a goal in your video, you can always do it before you send them off to watch. Make it clear. Have them write it down so they can show how they are taking ownership of their learning. Follow through. Of course there will always be students who take the lesson and run with it independently. And there are many others who will assume that watching the video was enough and they are back to square one. Following through, preferably at some point that day, will hold the student responsible and solidify the lesson taught. What we all want as teachers, is for our students to be independent–students who ta ke ownership of their learning. Every so often I ask students to fill out a sticky note with an idea for a lesson they would like taught. They then post the sticky note on our classroom “Jot Lot” and I look for patterns. Personally, I ask for those requests to be subject specific. 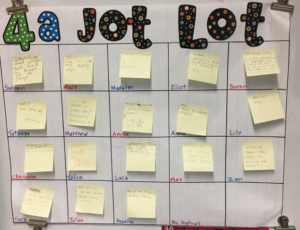 “Today, please jot down something you wish you had a lesson on with respect to Place Value” (or writing narratives, or reading fiction, or mapping skills…). Recently, I noticed there was a high demand for how to organize their reader’s notebook entries so that is a video I will make next. Students are taking the initiative to watch the videos at home and share them with their families. Families have commented on helpful they are. Take a look at the homophone video on “Their, There and They’re” – be sure to bring your spelling notebook and a writing utensil with you. Get a preview lesson on rounding, be sure to bring your Place Value Smartpal with you. As all of my students were on task, I was able to check in with 2 students who needed my help with a personal issue. I was then able to check in with my two groups of students who watched the videos, asking to see what they had learned. All students showed an understanding of the lessons. The two students who watched the preview in rounding both struggle in math so this was particularly helpful to them. I know how demanding teaching is and while creating “flipped” lessons digitally might feel like more work and yet another thing to do, I can assure you that it is time well spent. Inevitably this kind of blended learning enables us to create the kind of classroom we want–a buzzing and magical place. If you want more information about how to clone yourself by creating videos (also known as “flipped classrooms), try this book: Flip Your Writing Workshop by Dana Johansen and Sonja Cherry-Paul. While this book addresses how to flip your classroom in the Writing Workshop, it walks you through the technology used and various methods of creating the lessons. Gillian Andrews, the author of this article, is a fourth grade teacher at Deerfield Elementary School in South Deerfield, Massachusetts. 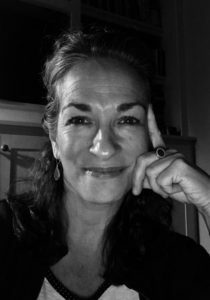 She is also a literacy consultant, trainer and presenter who helps educators hone and develop the skills they need to lead effective reading and writing workshops and to improve the quality of their literacy programs. Gillian has co-written curriculum units and provided professional development to educators in conjunction with the Hitchcock Center for the Environment, where she serves on the Board. She has been wishing there were two or three of her since she began teaching fifteen years ago! You can learn more about Gillian and her work through her classroom website and a LiveBinder she has created on using Text-Based Debates in the Classroom. You can also connect with her on Twitter! 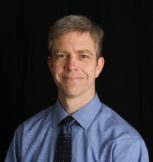 Mike Anderson is an education consultant, award-winning teacher, and author of many books including The Well-Balanced Teacher, The First Six Weeks of School, The Research-Ready Classroom, and Learning to Choose, Choosing to Learn. Learn more about Mike and his work or invite him to work with your school or district through his website: www.leadinggreatlearning.com. Connect with Mike on Twitter: @balancedteacher. Thank you, Mike, for posting this article! I think I will give this a try! Really cool idea. You’re welcome, Michele! I was so happy to publish Gillian’s blog post on this site! She has such an amazing thing going in her classroom, and I think lots of teachers will benefit from what she’s doing. You should definitely give it a try! It has been wonderful having a “cloned me” at times in my classroom. What I didn’t mention is that I am also creating videos for families which have also been well-received. I highly recommend the book I mentioned – that will give you a great start!